To make your time in our office the best part of your day. 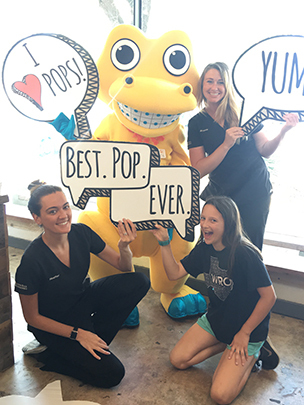 White Rock Orthodontics will be a place where everyone wants to be. From the first visit to the last, our patients will know that they picked the right Team for their care and will be eager to tell everyone they know about our office. We will create beautiful smiles with fair and ethical treatment at an affordable price. We will work, play, have fun, and challenge each other like a Team, and we will take care of each other like family. We will maintain a first-class Team of self-motivated individuals that work confidently, independently, and harmoniously to make WRO not just good, but great. Our Office Culture is comprised of 3 Pillars; Attitude, Execution, and Excellence. Each of these pillars is composed of 5 CORE VALUES, which are the principles that form our daily habits that guide and support our decisions to help us attain our Vision and fulfill our Mission. These Pillars and Core Values also guide us in identifying future Team members that share our values. They are also clear guides for knowing when someone is not a good fit for our Team.